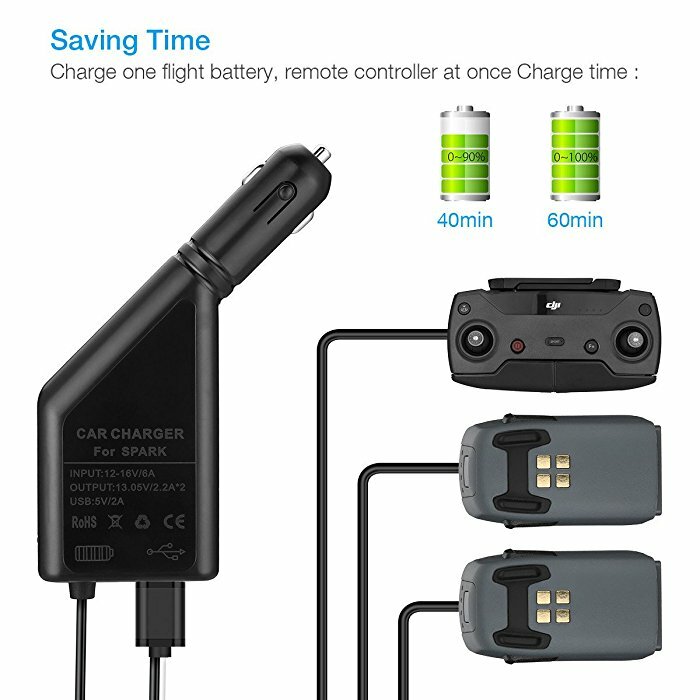 The charger can charge 2 batteries and 1 remote control. It comes with a DJI Spark battery safe bag. 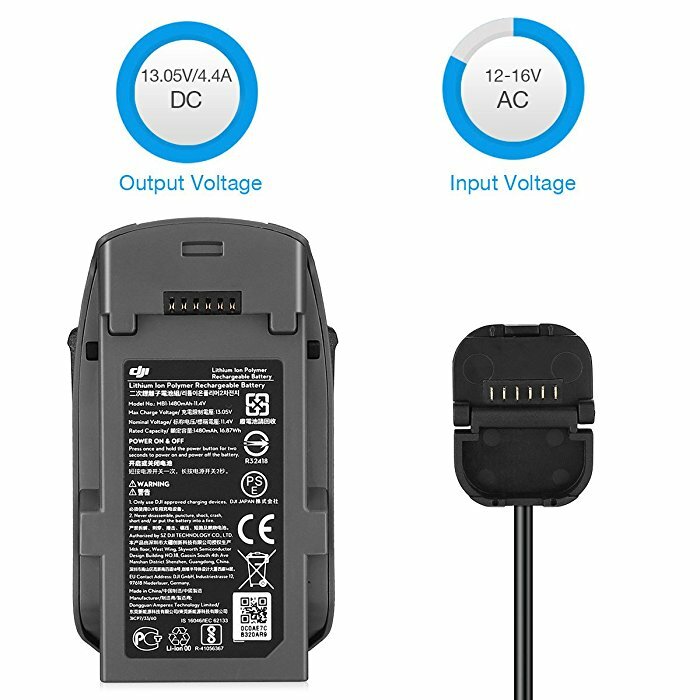 This charger can charge 2 batteries & 1 remote controller simultaneously. 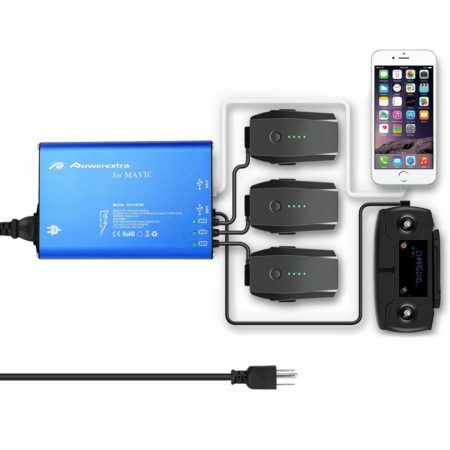 It takes only 40 to 60 mins to complete a full charge for the batteries. 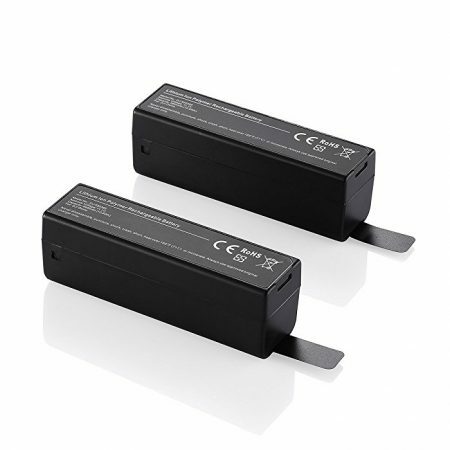 Powerful Input & Output: Input: 12V-16V, DC Output: 13.05V 4.4A. 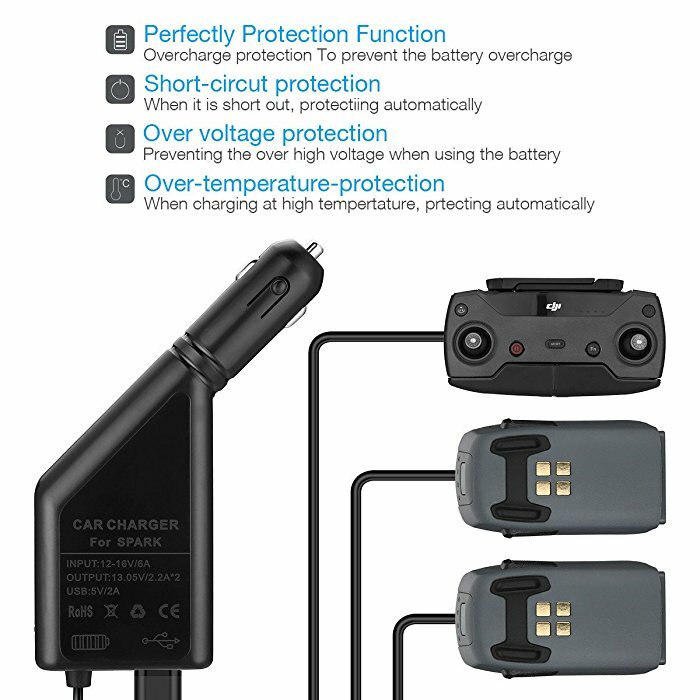 Durable Metarial: This DJI Spark battery car charger is made of sturdy hard shell which is highly fire-proof and heat-resistant. 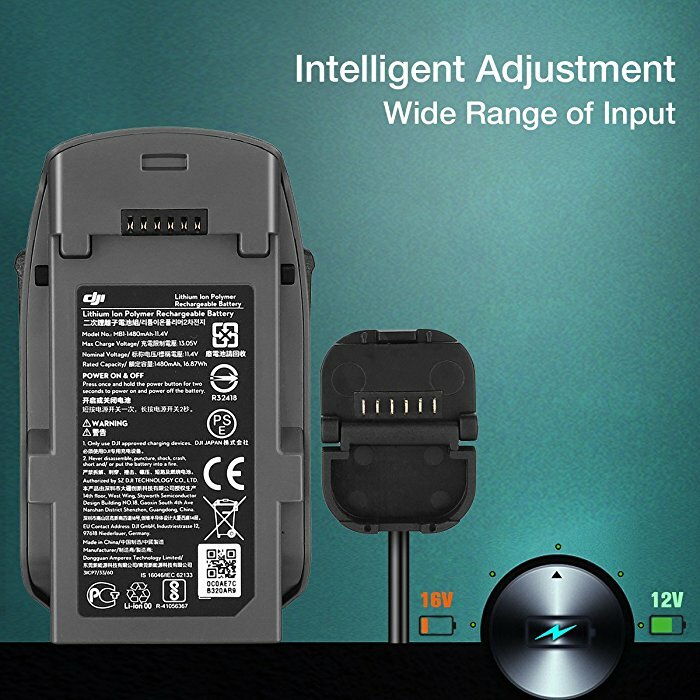 Intelligent Protection: The built-in safety system fully protects the charger from overcharge, over voltage, over temperature and short circuit. 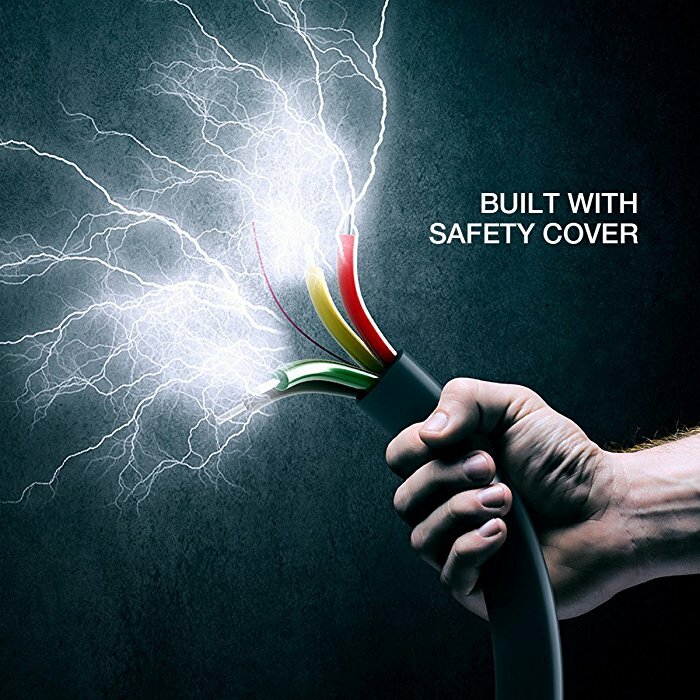 Unique Safety Cover: The built-in safety cover effectively reduces heat inside and prevents risk during charging. 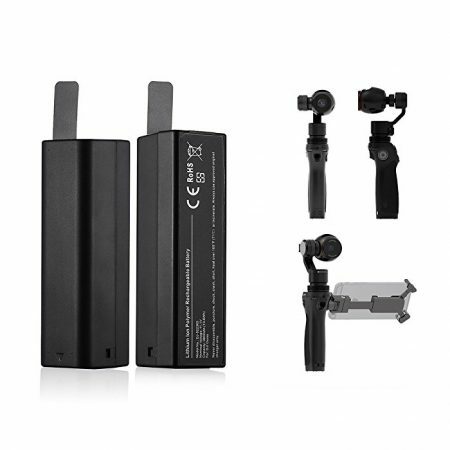 Powerextra DJI Spark Intelligent Multi Battery Charger works as a professional battery car charger for DJI Spark flight batteries and remote controller. 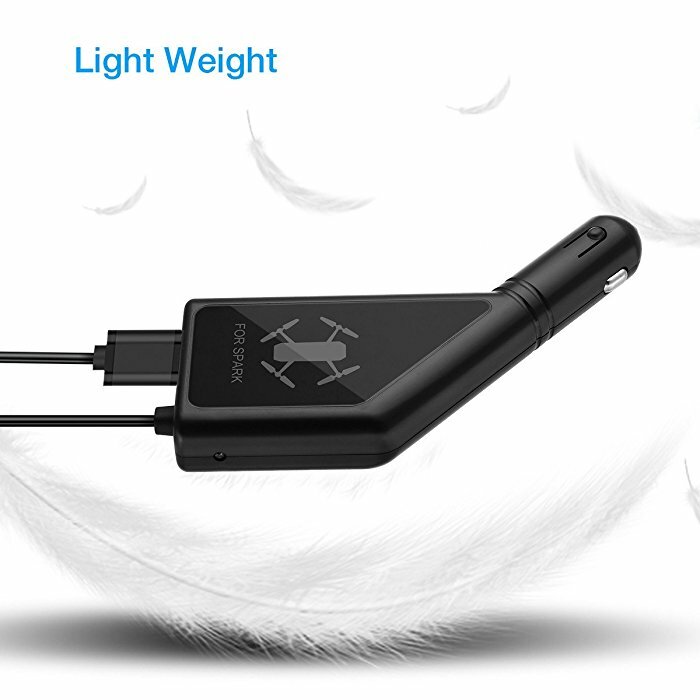 With three charging ports, this charger is able to charge two flight batteries and one remote controller at the same time. 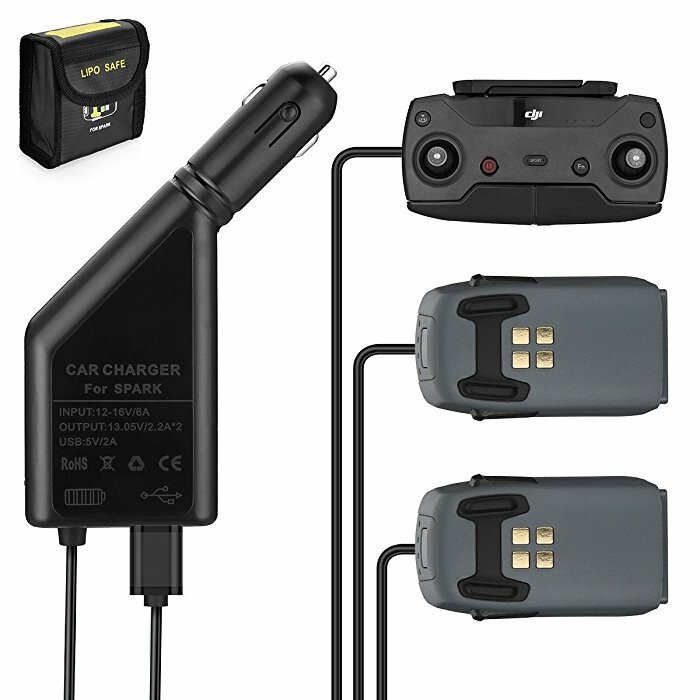 This DJI Spark car charger features high output, reliable quality in construction and protection built in. 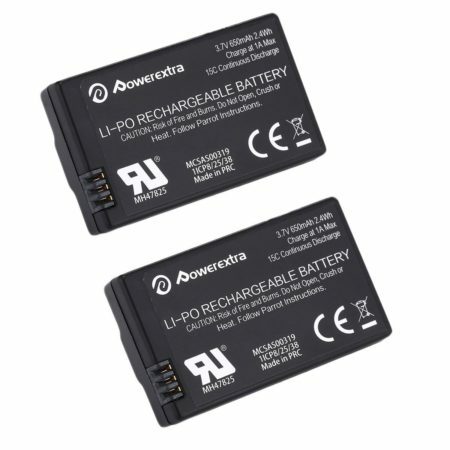 Powerextra is specialized in manufacturing flight batteries and chargers, power tool batteries, digital batteries and chargers, and related accessories. 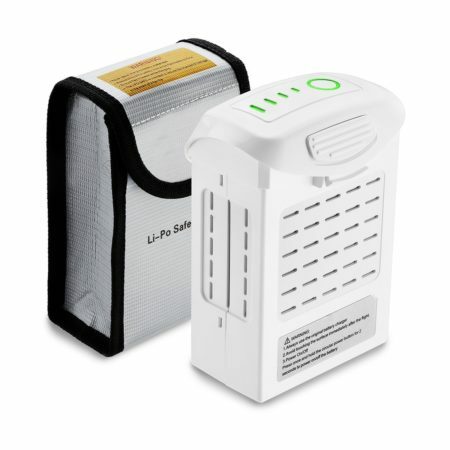 Powerextra is one of top selling brands for replacement batteries at Amazon.Powerextra products are made of the highest quality materials by CE certification. They are tested by manufacturer to match OEM products.